It's the first day of another new month! It's already September 2009! The first day of the month is also the Daily Photo blogger's Theme Day. The theme this month is "big". The 1st of September also happens to be Teacher's Day in Singapore. 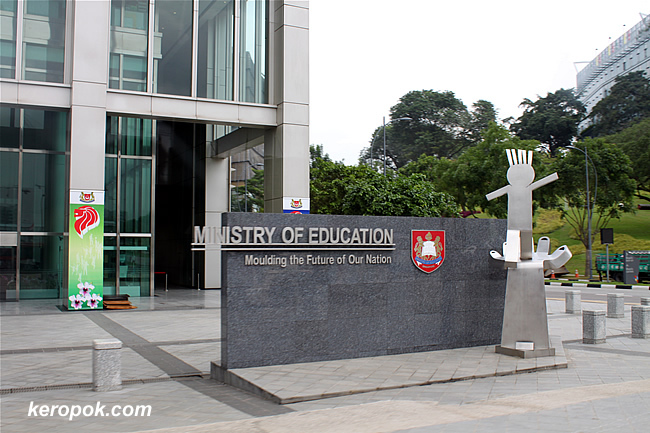 This photo is the headquarters of the Ministry of Education in Singapore. It sort of represents all teachers in Singapore. Teachers are probably people with the BIGgest heart around. click here to view thumbnails for all participants of the theme day. God bless the teachers of your country and of the world. Thank you for the wonderful tribute to those of us who currently teaching, retired, or plan to enter the profession. I thought you are talking about the sign that did not even fit to the wall. As a former teacer, and a representative of a teachers union - Thankyou!! A great take on today's theme and you'd be so right about teacher's hearts. I have so much admiration for all the dedicated teachers in the world. agree! i have my chemistry teacher to thank for my love of chemicals! hehe.. really!